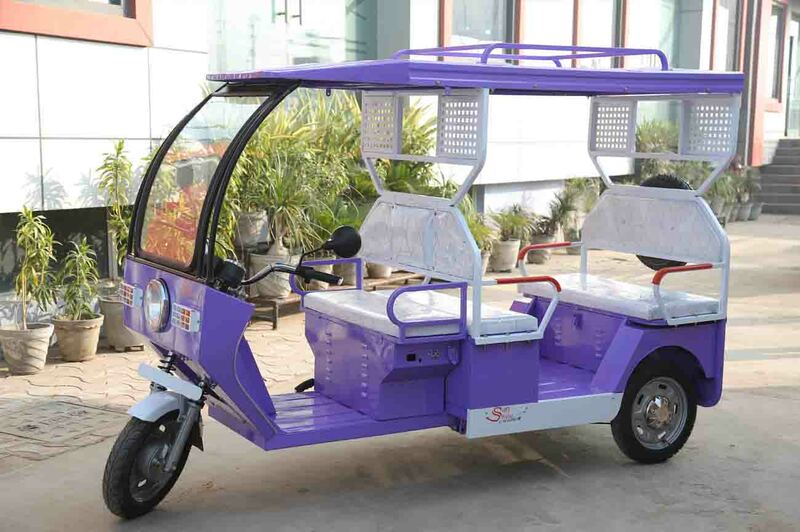 Team SMU has put in its in-depth knowledge and vast experience in designing, sourcing & manufacturing of electric vehicle named Sunshine to give the most optimum performance on Indian roads. Shine metal has complied with all the government guidelines and got its various models of SunShine approved from ICAT. Our EV products are designed to offer latest styling, enhanced driving comfort and superior performance. We focus on critical issues such as the look, safety efficiency, operations and maintenance. 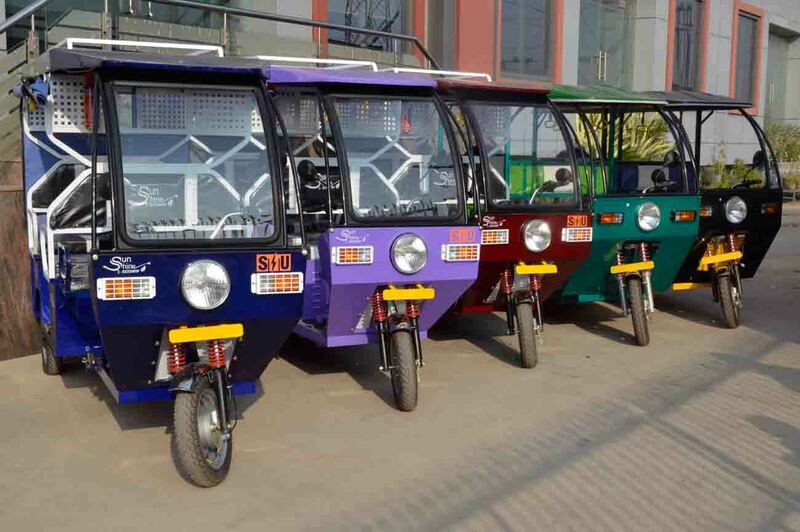 Shine specializes in manufacturing the highest quality electric rickshaws, also known as battery rickshaw or e-rickshaw. 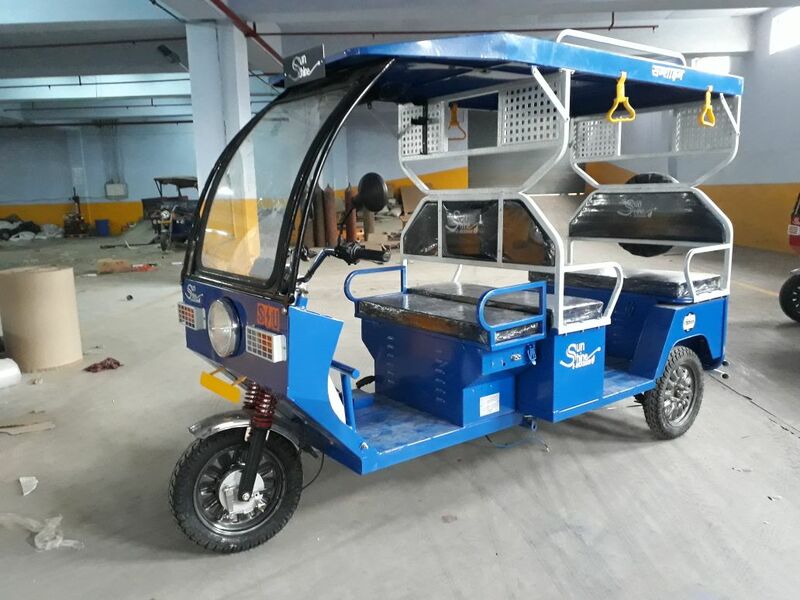 Apart from tested and designed under the CMVR rules, all our battery operated rickshaws are approved by International Centre for Automotive Technology (ICAT) and manufactured in India. ICAT is a world-class automotive testing, certification and R&D entity under the aegis ofNational Automotive Testing and R&D Infrastructure Project (NAT Rip), Government of India. It serves many industries, including the automobile one by issuing a certificate after providing design, testing & validation service. At Shine, we are an ICAT company, as meet ICAT standards. 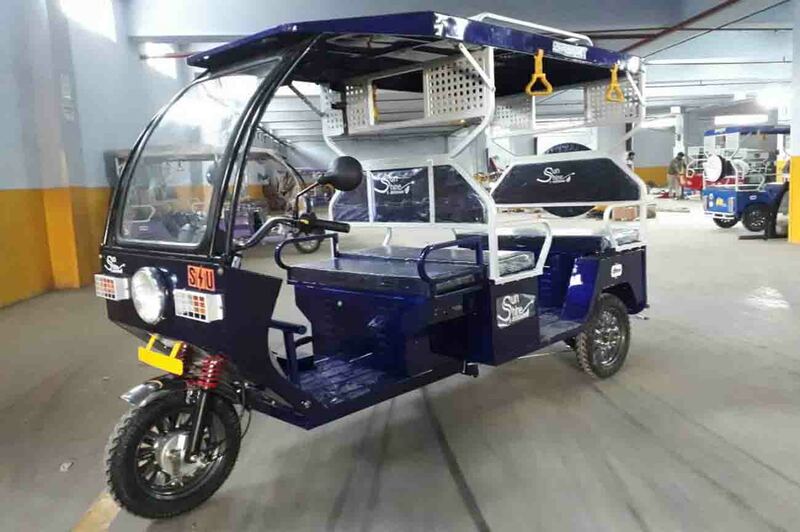 With the help of ourenergetic team of the technical& skilled workforce, we manufacture, supply and export e-rickshaws that have set a benchmark in the field of Passenger Vehicle Industry. 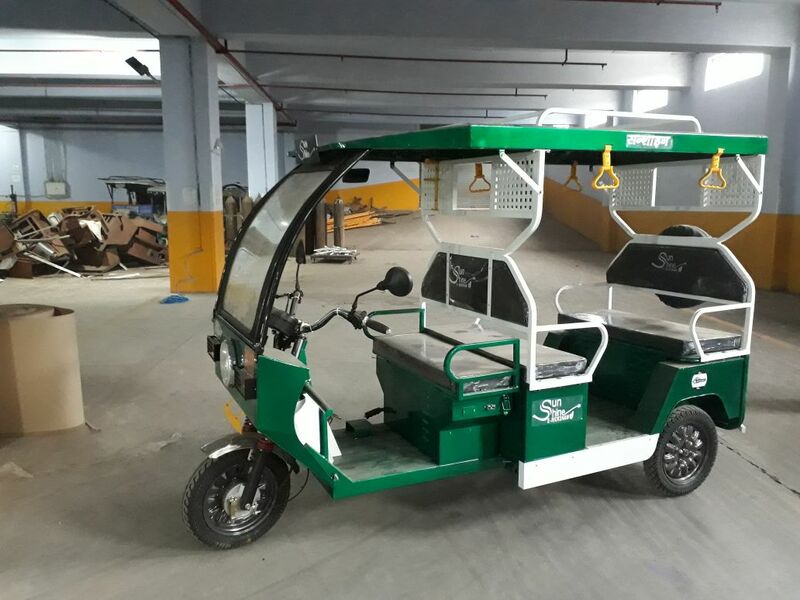 Our electric rickshaws are comfortable, high style class, reasonably priced and uniquely designed. 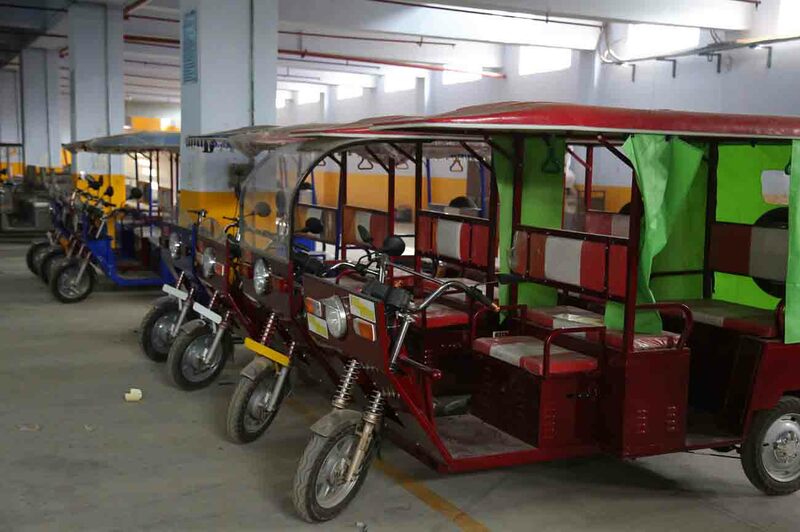 As one of the leading ICAT approved e-rickshaw manufacturer, we are committed to using high-grade technology and quality materials in the manufacturing process. 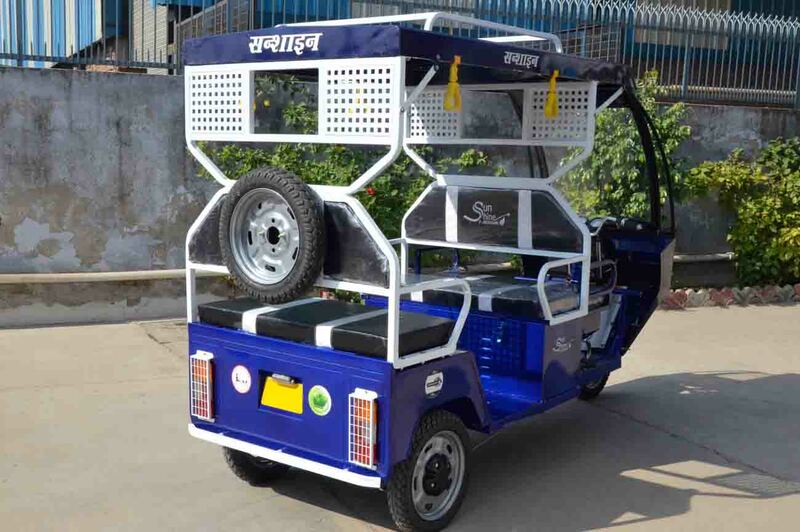 Keeping the comforts of the passengers and the driver, we manufacture e-rickshaw in a way that allows enough sitting space and runs smoothly. 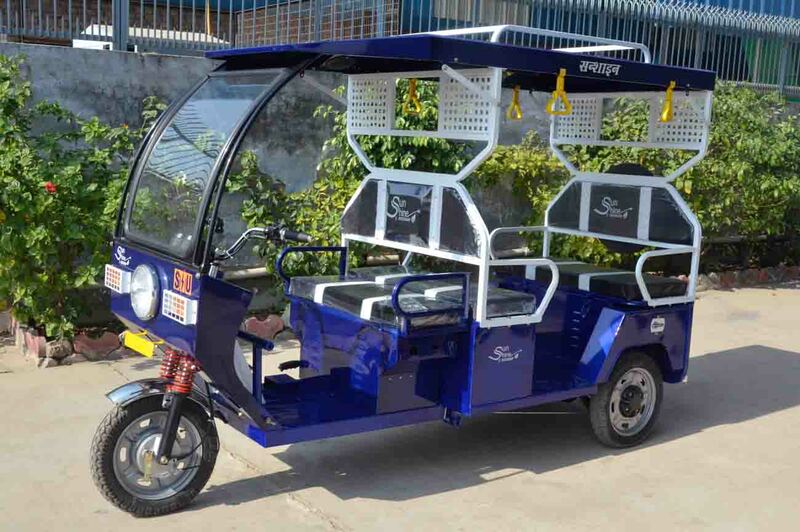 Our rickshaw can easily accommodate four passengers, excluding the driver. 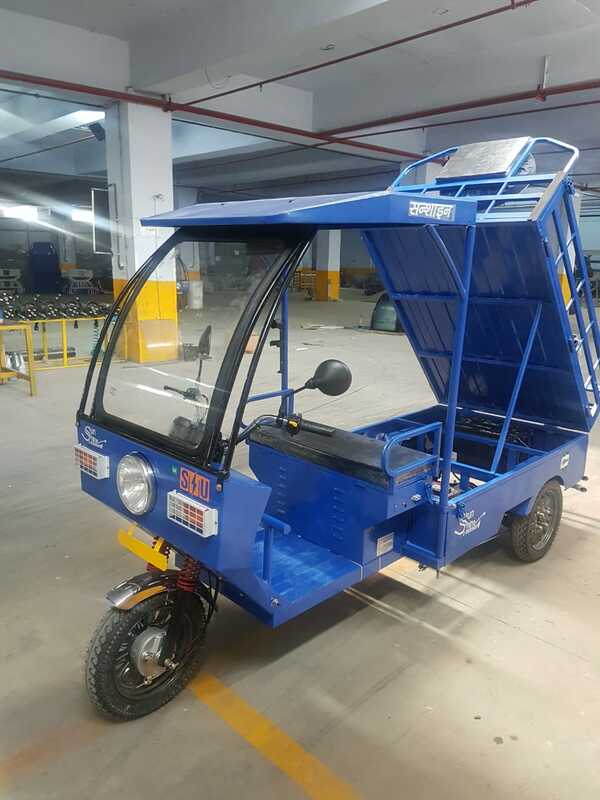 Running approximately 100 Km * per full charge, the rickshaw is equipped with 1000 watt motor capacity that can give maximum 25 Km/hr. 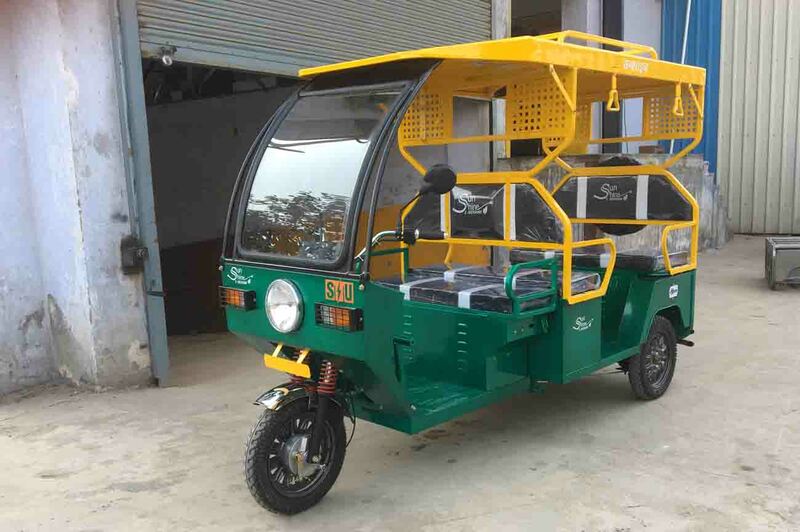 Available in Punjab, UP, MP, Haryana, Bihar, Rajasthan and other states, our electric rickshaws come with a metal storage box with a lock (dicky), branded hydraulic shockers with dust protection boots, a central single lock with a handle, an ignition lock, a water-resistant meter, chargers and a high capacity motor & battery, a high-grade fiber roof, robust chassis with one-year warranty and much more. 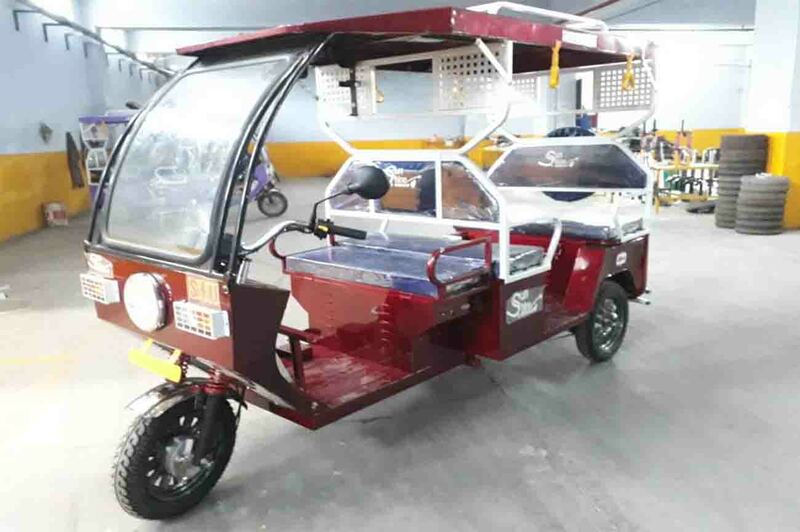 With the availability of high-quality and reliable electric rickshaws, we can imagine our future free of poisonous fumes and diesel/petrol operated vehicles. 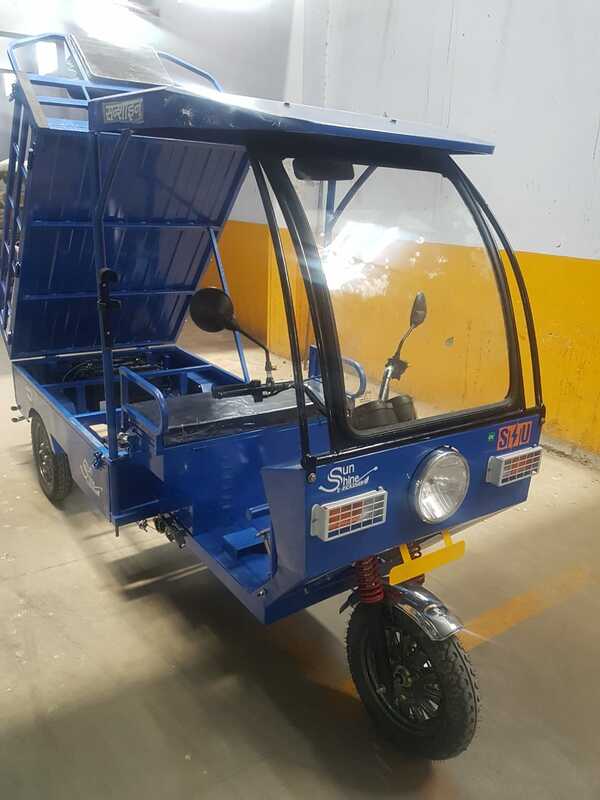 Ranking among top e rickshaw manufacturers in India, we are engaged in manufacturing, supplying a wide range of electric rickshaws that are zero-emission, a comfortable design, well-balanced body, striking shape, and advanced technical featured. 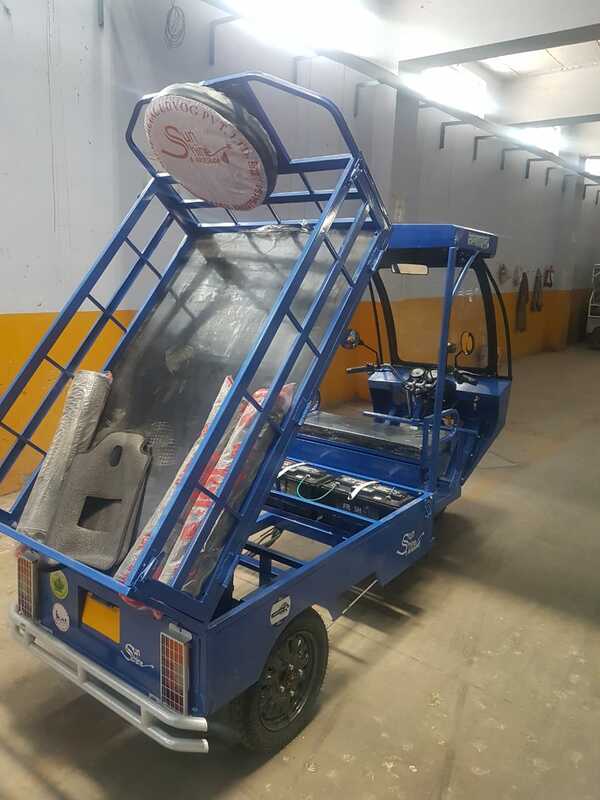 We are focused on manufacturing e rickshaws by using high-grade materials and advanced technology. Our electric three-wheeled vehicles that run with 25km/hr speed come equipped with high capacity motor and battery, metal storage box, dicky lock, dust protection boots, branded hydraulic shockers, proven design, ignition lock system, central single lock with handle, guaranteed tyers, high-grade fiber roof, water-resistant meter, charger, strong and sturdy body. 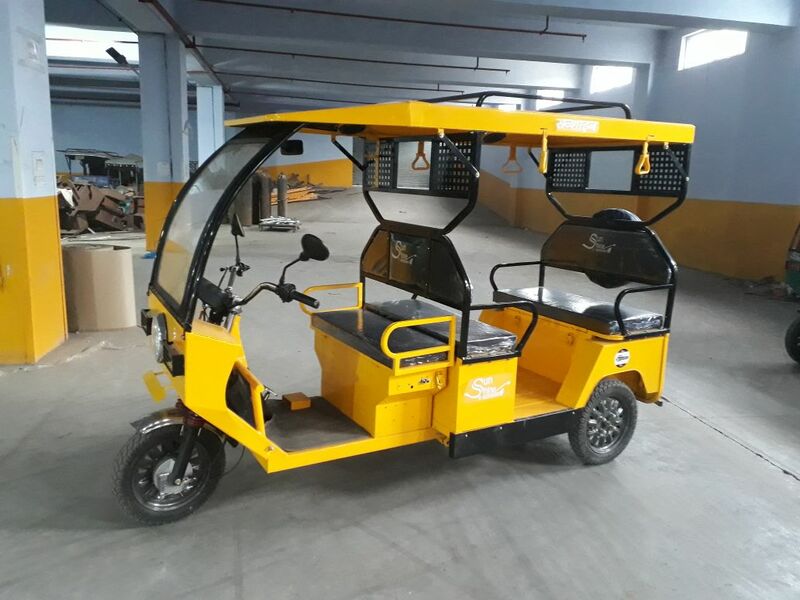 Registered under Company Act, we have emerged as one of the fastest growing automobile companies in India and supply electric rickshaws in all primary states of India, including Bihar, Uttar Pradesh, Haryana, Delhi, Punjab, Madhya Pradesh, and other states. 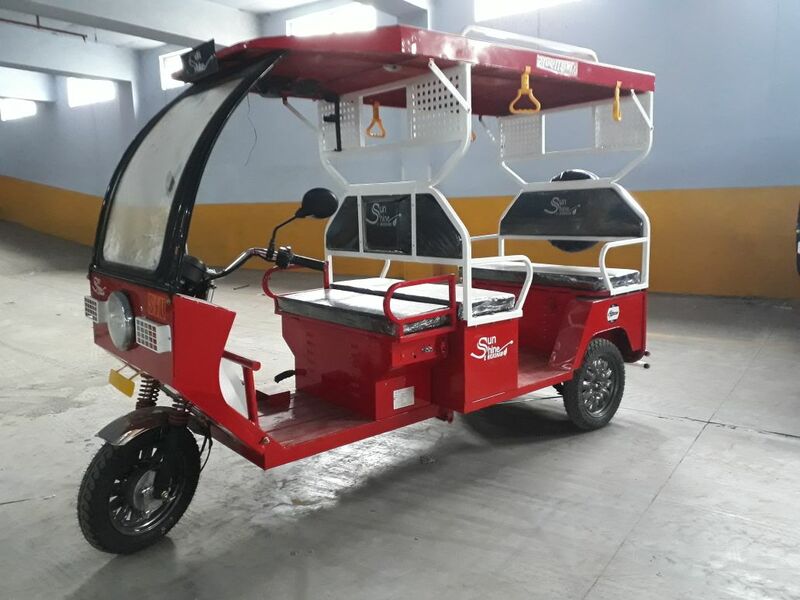 At Shine, we are committed to manufacturing high quality guaranteed e rickshaws that are entirely eco-friendly andpollution-free. 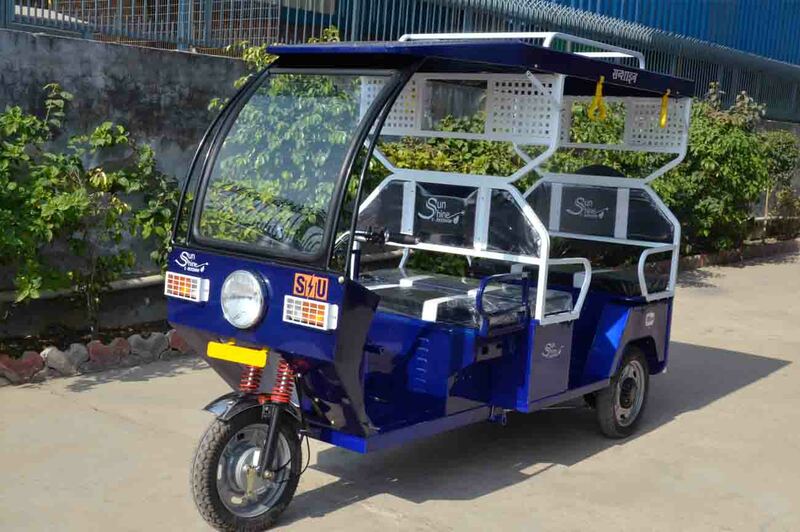 Besides, our electric rickshaws are 100% original and Indian product. At Shine, we also provide after sale support to customers with the help of specialized professionals. Our dedicated R&D Department is focused on constant improvement and upgrading the models. 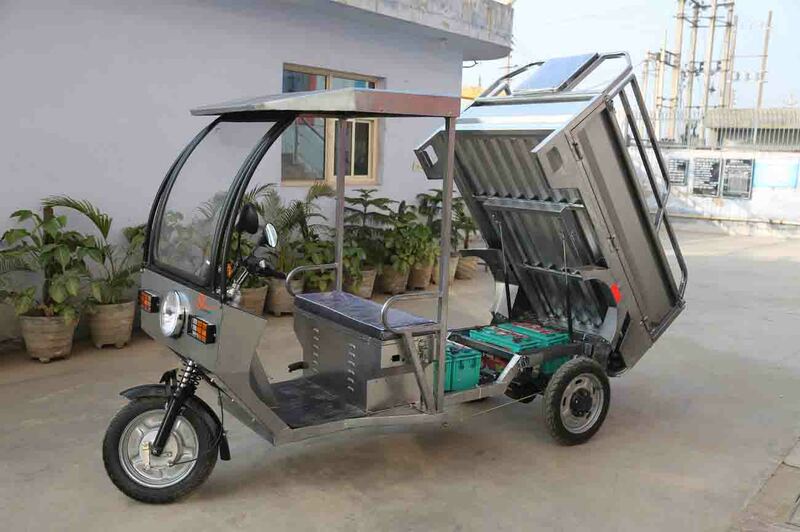 If you want to venture into e-rickshaw business, feel free to contact us. 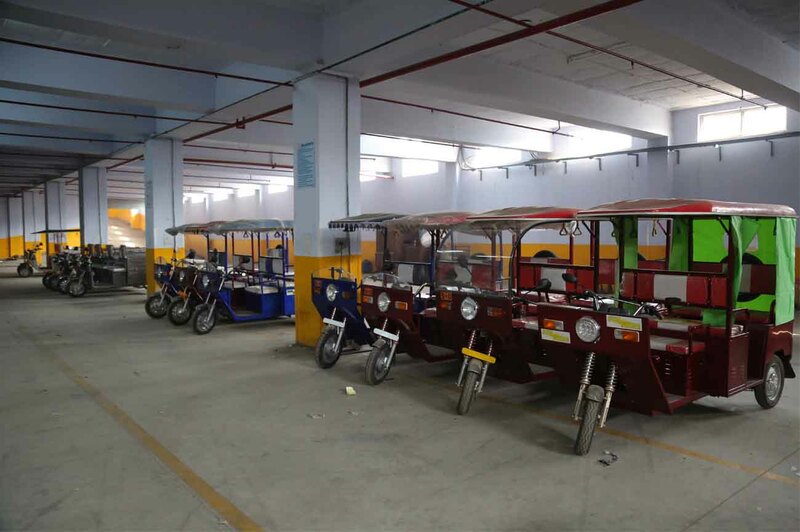 Electric rickshaws are beneficial not only for passengers but also the drivers. 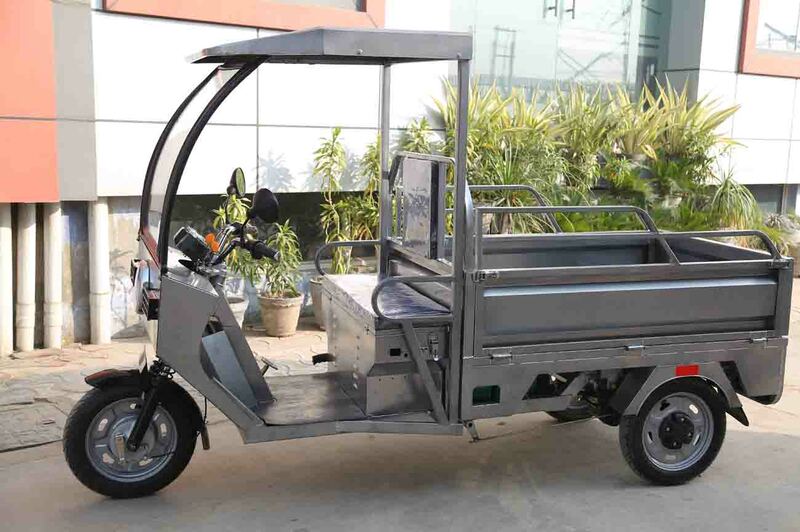 Since these advanced three-wheelers vehicles don’t run on fuel and require less maintenance, drivers charge less to passengers when compared with other vehicles. 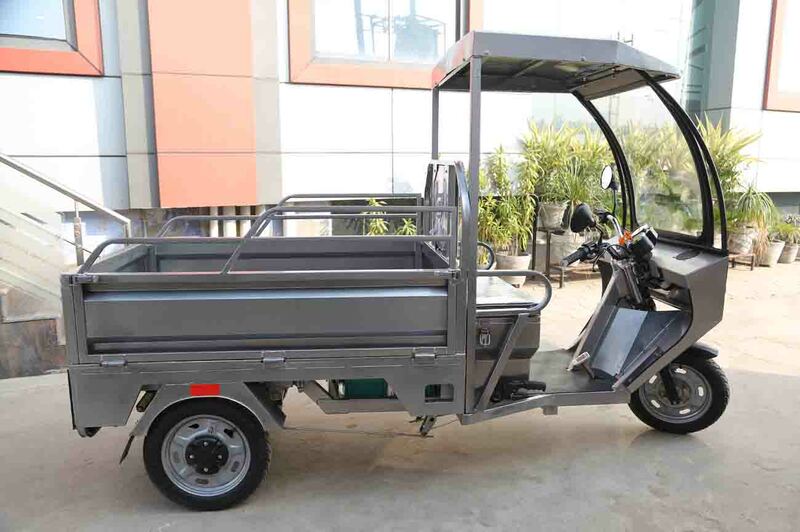 With loads of experience in Electric vehicles, professional expertise, strong client base, Shine has manifested constant development and has been successful manufacturing and supplying highly efficient and effective e loaders. As a leading e loader manufacturer, we make are committed to meeting industry demands by making the battery operated commercial vehicles of engineers’ choice. Our eloaders are economical, made to have sleek design, durability, longer life and give high performance. 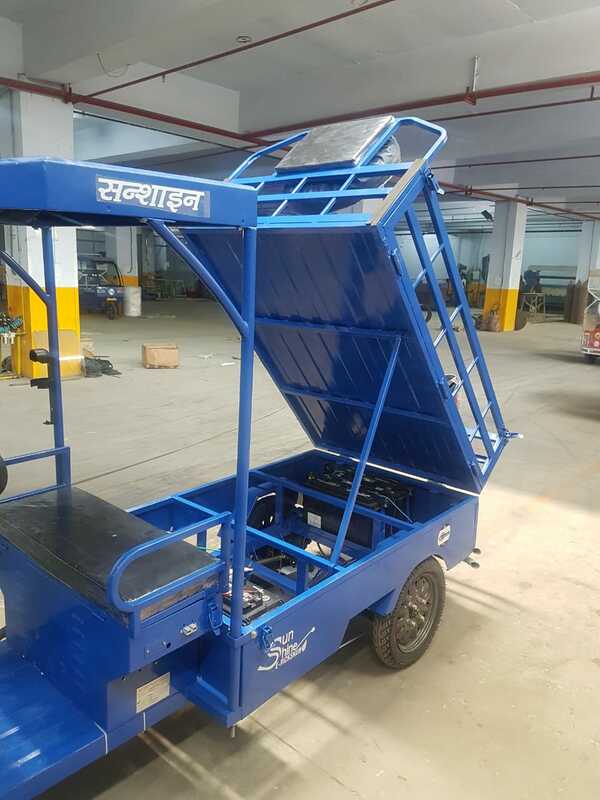 Made by using high-grade materials, the electric loaders that we manufacture and supply across India feature some additional accessories such as windscreen. At Shine, you can find different premium quality models of electric loaders that are the perfect solution for carrying heavy loads with easy and at the lowest running costs and maintenance. Moreover, the e-loaders are beneficial for the environment, as well. Our professionals can customize the vehicles according to your choice. 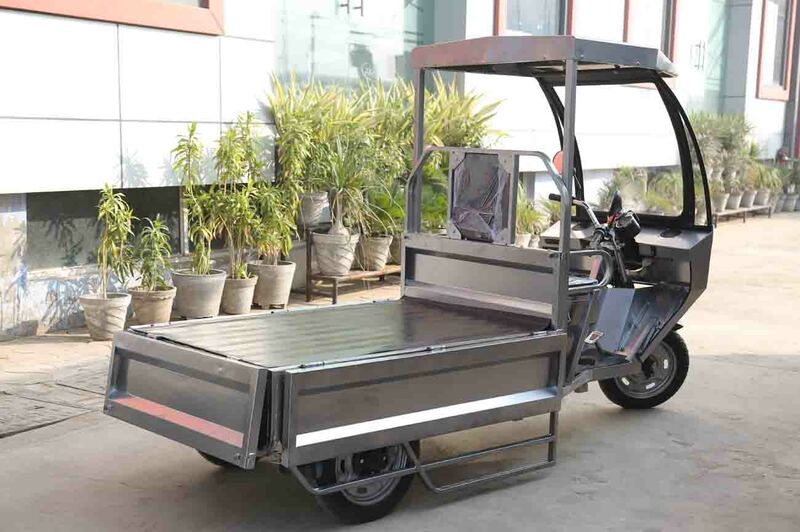 Whether it comes to carry fruits, vegetables, furniture, cement, or other heavy household materials, our e loader is the right option. With upgrading our technology and manufacturing unit from time to time, we continue to enhance quality and range of products. We have a dedicated team of engineers and technicians, who are fully devoted to best quality products and high-end customer services. For any information about our e loaders or discuss prices and discounts on our products, feel free to contact us at tour contact number. You can also meet our manufacturing unit and inspect the things we materials use in manufacturing e loaders. Our contact address is available on the ‘contact us’ page.